Risk factors include impaired renal function and inadequate hydration prior to contrast exposure. The following article is part of conference coverage from the 2017 American Transplant Congress (ATC) in Chicago, Illinois. Renal and Urology News’ staff will be reporting breaking news associated with research conducted by leading experts in transplantation. Check back for the latest news from ATC 2017. Risk stratification of kidney transplant recipients prior to administration of contrast media should be considered to decrease the risk of contrast-induced acute kidney injury (CIAKI), researchers concluded in a meta-analysis presented at the 2017 American Transplant Congress in Chicago. 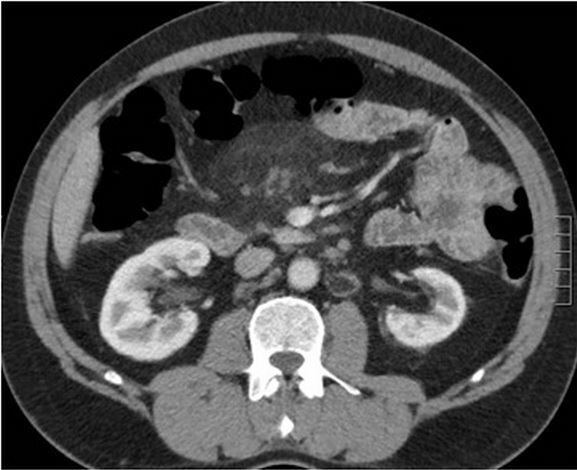 Stratification criteria should be based on renal allograft function, clinical indication, and type of imaging procedure. The meta-analysis, led by Wisit Cheungpasitporn, MD, of Mayo Clinic in Rochester, Minnesota, included 8 studies of CIAKI in kidney transplant recipients. The estimated incidence of CIAKI and CIAKI requiring dialysis was 9.6% and 0.4%, respectively. The investigators identified contrast use in the early post-transplant period, older donor kidneys, impaired baseline estimated glomerular filtration rate, and lack of prophylactic volume hydration as risk factors. The incidence of CIAKI was 15% among patients with intravenous (IV) hydration prior to contrast exposure compared with 49% among those without prior IV hydration. High-osmolar contrast was associated with a higher incidence of CIAKI. Compared with iso-osmolar contrast, low-osmolar contrast was associated with nearly 8-fold greater odds of CIAKI. When the investigators limited their analyses only to studies that used low-osmolar or iso-osmolar contrast, the estimated incidence of CIAKI was 8.0%. The estimated incidences of CIAKI in patients with received contrast media with cardiac catheterization, other types of angiogram, and computed tomography scans were 16.1%, 10.1%, and 6.1%, respectively.